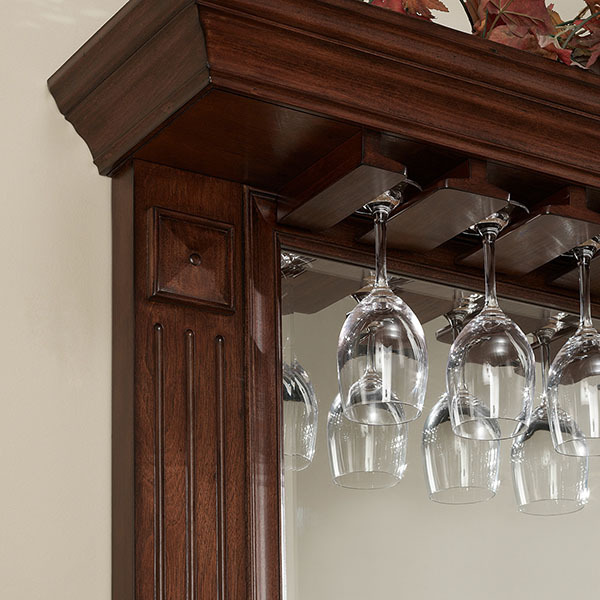 The American Heritage collection classic bar room furniture is expansive and ever evolving to meet the needs of bar and game rooms today. 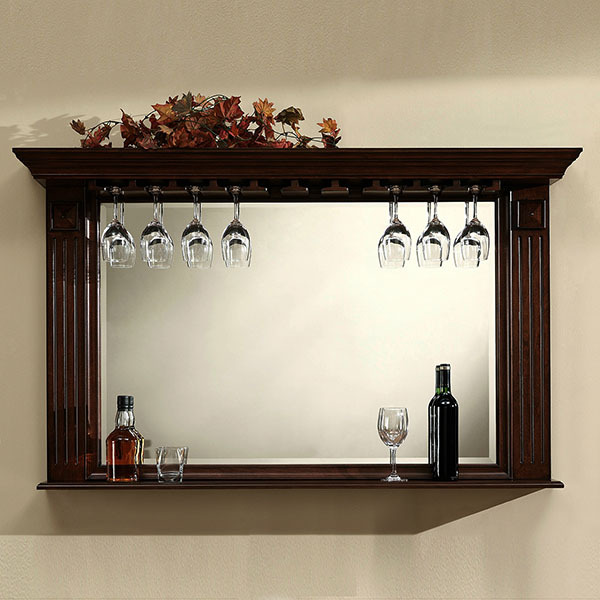 The Roma Bar Mirror is now replacing the Napoli Bar Mirror, which featured more ornate trim. 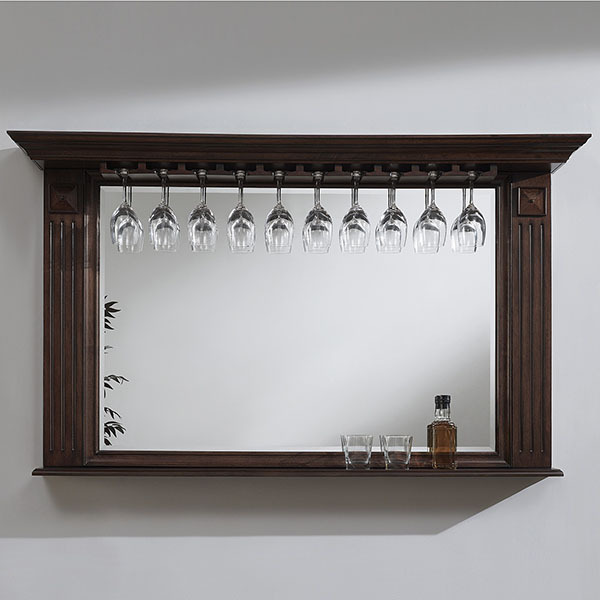 American Heritage Billiards is taking this bar mirror back to the more simple, structured basics. 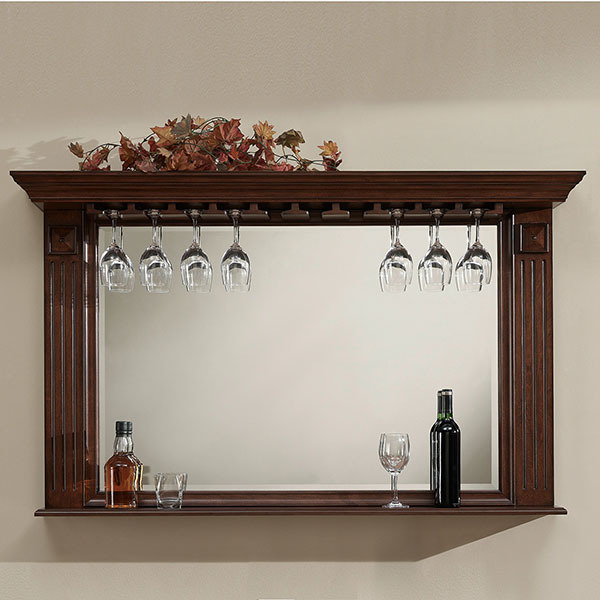 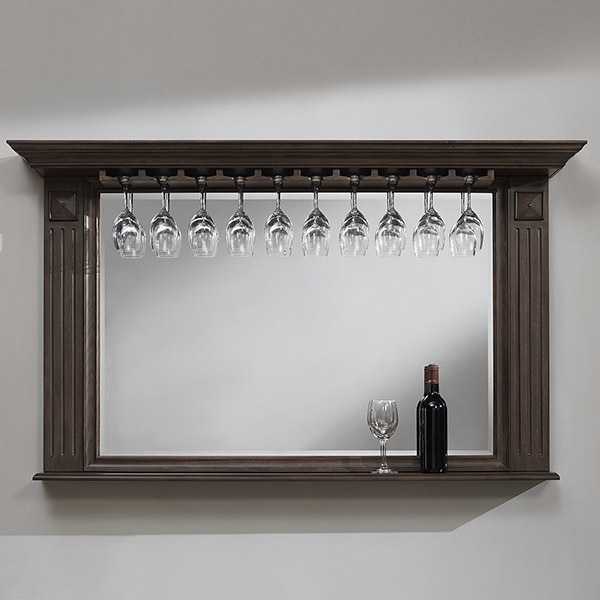 The Roma Bar Mirror features storage for hanging stemware and a long shelf for free storage of bottles, glasses or accessories. 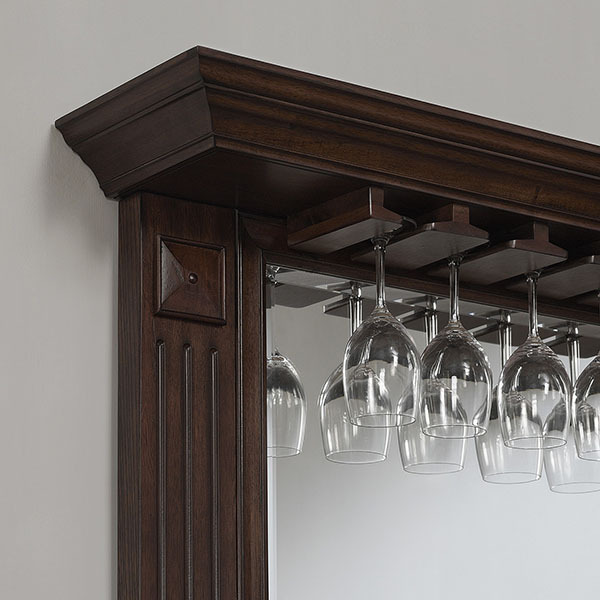 Along the top, a ledge offers extra storage of bar accessories or space for decoration, as pictured. 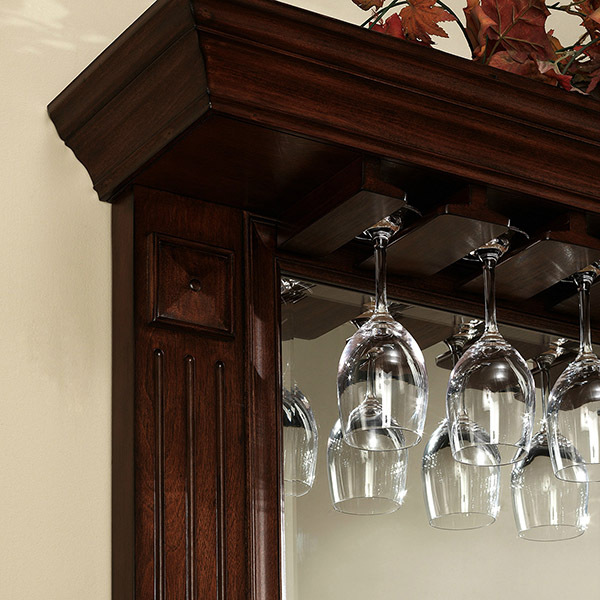 Many game rooms and bar rooms become one-dimensional with only a wine cabinet and seating. 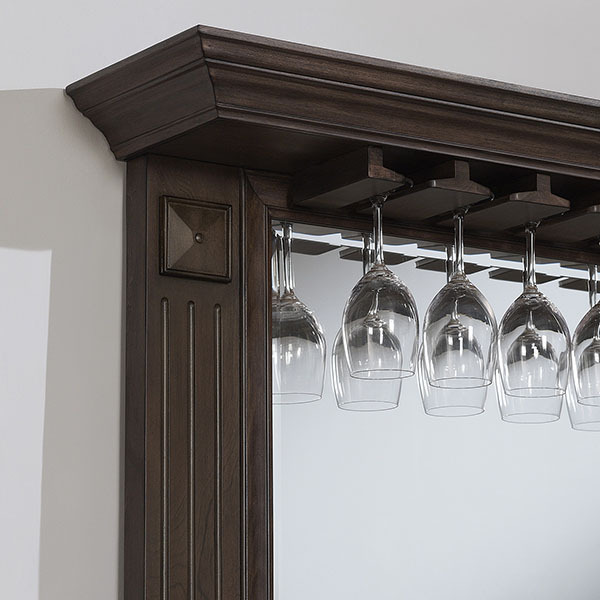 Adding simple functional accents that offer style, like a mirror, and extra storage, like the stemware holder and shelves, may be the ideal accent piece to add interest and depth to your home bar or game room.